Dedicated to improving the quality of healthcare for all North Carolinians. 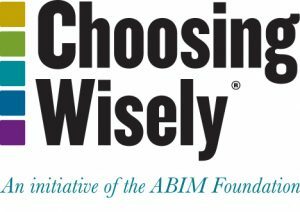 Choosing Wisely® was developed by the ABIM Foundation to help providers and patients talk about medical tests and procedures that are often usedbut may not be necessary and may even cause harm. As a part of Choosing Wisely, more than 70 specialty society partners have developed specific, evidence-based recommendations that providers and patients should discuss to help make wise decisions about the most appropriate care based on the patient’s individual situation. The North Carolina Choosing Wisely campaign is a collaborative, statewide effort led by the North Carolina Healthcare Quality Alliance (NCHQA). The campaign aims to reduce the use of unnecessary tests and treatments in North Carolina by (1) implementing select Choosing Wisely recommendations within participating health care systems, and (2) raising awareness of the problem of overuse among providers and patients in the broader community. Key North Carolina Choosing Wisely partners include Duke Medicine, Cornerstone Health Care, the North Carolina Medical Society, Blue Cross Blue Shield of North Carolina and the State Health Plan for Teachers and State Employees. The North Carolina Healthcare Quality Alliance (NCHQA) is partnering with the ABIM Foundation and key health care stakeholders in North Carolina to spread the Choosing Wisely campaign throughout the state. By helping providers and patients discuss the appropriateness of certain commonly used tests and procedures, the North Carolina Choosing Wisely initiative aims to support better, more affordable care for all North Carolinians. On this website, you will find Choosing Wisely information and materials for health care providers, patients and families, employers and payers. You can also learn how to join the North Carolina Choosing Wisely effort in reducing the use of unnecessary tests and procedures. 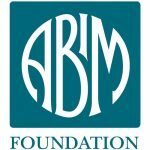 The following video contains a message about Choosing Wisely from Dr. Christine Cassel, former President and CEO of the ABIM Foundation.